Here you can find some resources, mainly stuff from the original TR games, which you can use for your own levels. - Several usefull TRLE/TRNG related tools, like STRPix, Editwad, TRLE Sound Editor, etc. Last edited by Titak; 30-07-18 at 18:28. Audio tracks from Tomb Raider 1 (38Mb). Audio tracks from Tomb Raider 2 (40.4Mb). Audio tracks from Tomb Raider 3 (86.8Mb). Audio tracks from Tomb Raider 5 (69.7Mb). - The files are numbered, but there a tr2wavs.txt included, teliing you which files is which sfx ingame. - This is practically the full set of TR3 samples, put together by EssGee. Many thanks EssGee for this invaluable TR Level Builders resource (10Mb). - They're fully compatible with TR4 Engine and msfx tool (Created by Turbo Pascal) is used to generate the main.sfx files for TR3 & TR3 Gold. - Samples and Audio from the Angel of Darkness game. - They are in the original AoD samples and audio format, so they need to be converted to the proper TRLE format when you want to use them as samples with the TRLE. - package provided by Zreen. - Can't remember who ripped the fsb files which contain the samples, but I (Titak) extracted them from those fsb files. - They are in the original TRU samples format, so they need to be converted to the proper TRLE format when you want to use them as samples with the TRLE. - this link specifically links to a Soundsnap page with Ancient & Medieval Game Sounds. Last edited by Titak; 10-08-18 at 20:59. Fluen has ripped all the animations from the cutscenes from Tomb Raider's 1 through 3 and packaged them up for download (4.3Mb). Installations instructions are included in the download. Last edited by Titak; 18-11-18 at 21:03. - A package containing all the level textures from TR1, 2, 3 + the Gold (expansion) levels. They are .tga in 64x64 format, no filtering and with the correct transparency color. So they are ready to use. - This is the complete package of textures formerly hosted on Skribblerz. - The package contains 128x128 textures of the TR1 - TR5 games, as well as from AoD, TRL, TRA and TRU. - The package also contains textures from some custom levels that were hosted at Skribblerz. - A package containing all the level textures from the Lara Croft - Guardian of Light game. They are in .tga format, original size. A year ago I made some animated shield textures, because I was trying to replicate the shields from Halo. Maybe you guys can find a use for them. The textures are 128x128 and have 16 frames each. They are tileable and seamless. - A very very elaborate texture library! A website with all sorts of stuff, like Sprites, Textures, Sounds and 3D Models. 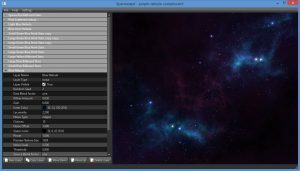 Spacescape is a free tool for creating space skyboxes with stars and nebulas. Last edited by Titak; 21-07-18 at 21:15. All the files you need from the original Angkor Wat level of The Last Revelation are included in this download (3.3Mb). All the resources of the Lost Library and the Guardian of Semerket levels are here with instructions included (12.3Mb). Copy all of the files into your Wads folder in your trle root folder to enable all Lara's animations in every WAD (11.2Mb). Last edited by Titak; 24-06-18 at 09:19. Individual objects from the TR games and custom made objects. Remember the double slamming doors in TR1-TR3? When you have a close look at those in WADMerger Animation Editor, you'll see that they are not really sliding straight in and out of the wall. 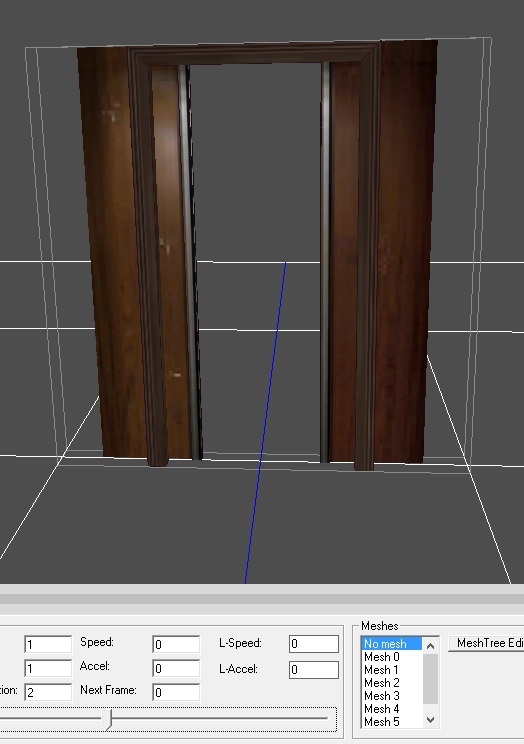 A_De found a way to make the doors slide straight in and out of the walls and kindly released the object. This file contaisn TR1, TR3 and TR4 Lara models assembled to use with Blender. These assembled models can be used for making custom outfits. Last edited by Titak; 23-07-18 at 16:39. The original Tomb Raider Level Editor (the TRLE) was released by Core in 2000. The TRLE was the Level Editor Core used to make The Last Revelation. When installing the Tomb Raider Level Editor, select Custom Install and uncheck the DirectX7 box. If you try to install DirectX7, Windows will chuck out a serious error message due to trying to install an old version of Direct X (176Mb). In early 2008, Paolone released a new Tomb Raider Level Editor, the Next Generation Level Editor (the NGLE). Version 1.0.9.13 is the version that does not use the TRNG engine yet, so this version can be used together with TREP. TRNG stands for Tomb Raider Next Generation. It is a combination of NGLE (updated level editor) and the updated engine. It has a lot more posibilities than just the TRLE or NGLE, in both graphics/effects and gameplay. MK4 is TRNG version 1.2.2.6. If you want to use version 1.2.2.7 you have to install the "trng installer 1.2.2.7" after installing MK4. After that you can download and install the most recent version 1.2.2.7+. But in order to be able to use 1.2.2.7+ you do need to have 1.2.2.7 installed since 1.2.2.7 also contains an update for NG-Center! We have a whole forum section dedicated to TRNG. If you are using TRNG, it is best to your questions in there. Object editing and texturing tool of the 'absolutely can't live without' type. You can also Import and export texture bmp's as well as dxf files. This original tool was built by Turbo Pascal who later released the source code (308Kb). This updated version of Strpix was developed by Sapper from the original tool by Turbo Pascal. There have been many feature changes and new feature additions. For more information read the documentation included in the download (703Kb). EditWad is an object and WAD editing tool by Sapper, which makes all your object editing much easier and more fun. Fexinspect allows you to open and inspect compiled Tomb Raider level so can see how objects are placed and how things are used in game (833Kb). This is SFX Manager v3.0 by Magplus (Pascal Ducey). Instructions and version updates are included in the readme in the download (14.4Mb). TBuilder by Iceberg will take care of all your texture set building needs. Screamer by Leperk will create new sounds.txt files and output new .sam and .sfx files for your wad. Read the tutorials to lean how to use it (175Kb). Note: this tool does not work on 64bit systems. TRLE Sound Editor by Sapper will edit edit/create sounds.txt and create SFX and SAM files, but cannot create SFX or SAM files for v130 WADs (5.75Mb). TR2Wad by Michiel will rip objects, textures and sound samples from TR4 files. It will work fine on XP and Win 7 running in compatibility mode (175Kb). Brilliant patch by Larson 08 that will allow you to hold down the middle mouse button and pan your rooms around (16Kb). WADMerger allows you to export/import animations for Lara and other objects to .trw format. With these utilities you can edit these .twr files. You can for example, easily mirror animations with it. This little tool lets you fly through levels for inspection. Last edited by Titak; 24-05-18 at 15:51.